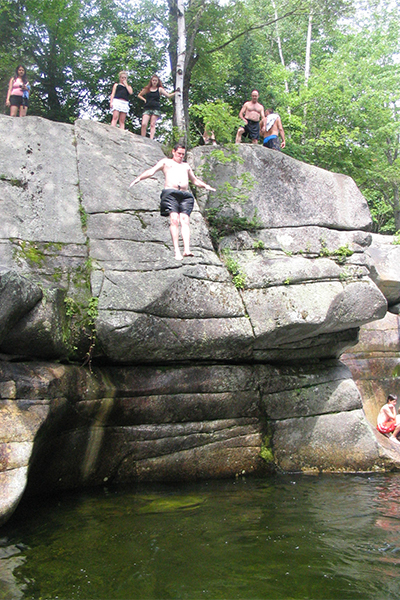 There are more than one hundred documented tragedies at New England's swimming holes. 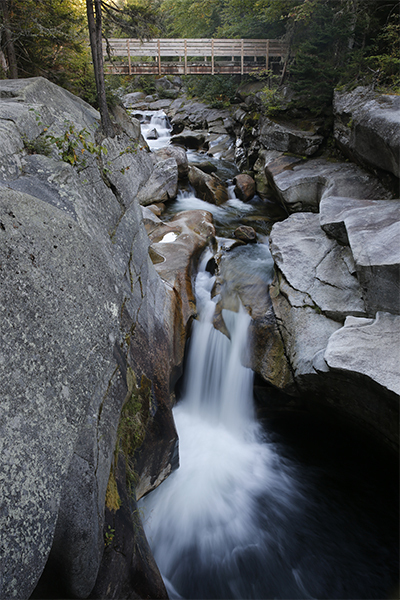 Upper Ammonoosuc Falls has been the site of several of these tragedies. 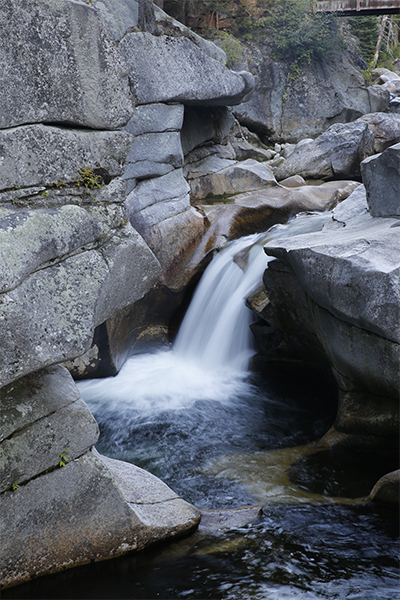 On a previous visit, a swimmer was seen struggling to exit the circular pothole found below the main 8-foot falls. He made it out alive that day, but others have not been so fortunate. Swimming is only really possible here in the lowest of water flow, and it is almost never safe to swim in the potholes near the main plunge (this is where the majority of drownings and accidents have occurred). 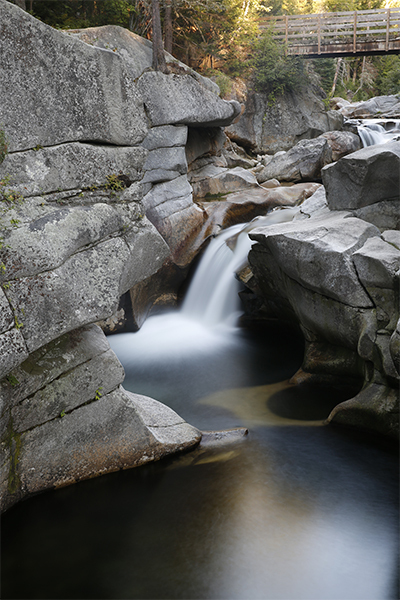 The highlight of this spot is certainly the pools and gorge, as opposed to the falls itself. The tallest drop here, the 8-foot plunge, is roaring in power. The falls can be tough to photograph well since the sun shines directly on it for most of the day. The best photographs here would likely be taken early in the morning or late in the afternoon. 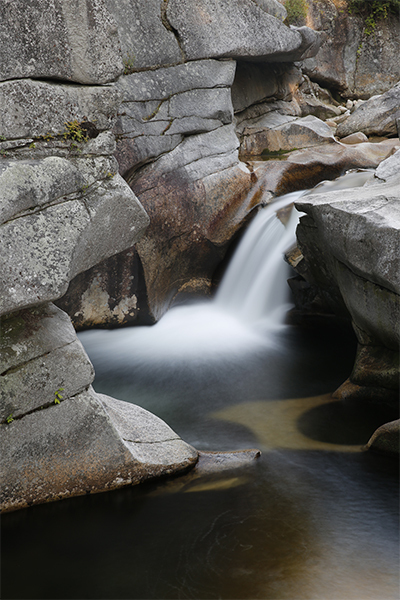 Summer brings swarms of thrill seekers, photographers, fishermen and tourists to this waterfall daily. Known for years as a place that tolerated the consumption of alcohol along with cliff jumping (an absolutely horrible combination), the U.S. Forest Service decided, after several recent fatal and near-fatal accidents, to place a permanent ban on alcohol consumption at this waterfall. As a result, this place continues to become more family-friendly. The best and safest place for children is to wade in the river at least 50 feet downstream of the falls. There also exist a lower and middle falls. 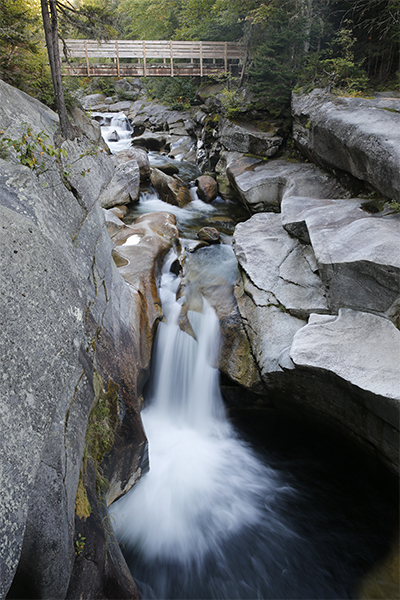 The lower falls is accessible via a short and easy 0.25 mile trail that begins at the end of nearby Lower Falls Rd. 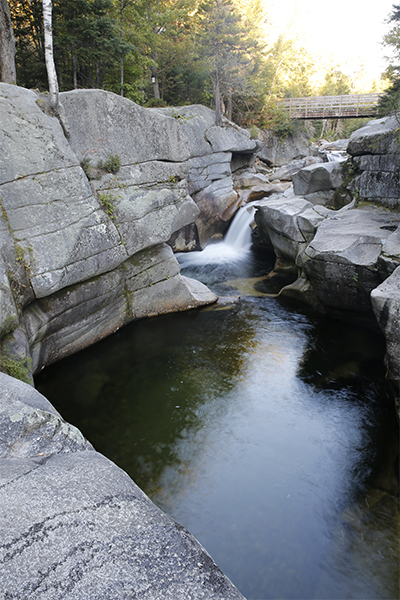 If the currents are too strong at Upper Ammonoosuc Falls, you may still have a chance to enjoy the water at Lower Ammonoosuc Falls, as the pool there is extremely large and generally safer for swimming. 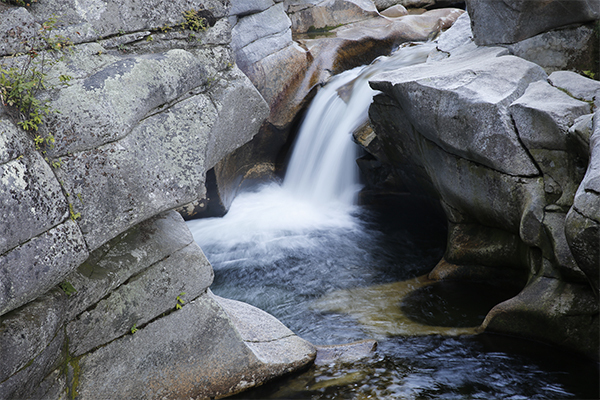 The middle falls are only a short distance downstream of the upper falls, and you will find small falls and very attractive pools there as well.